2016 was a rough year. Good things happened, but several tough things that are still working themselves out also happened, personally and politically. The son got sick and we are still working through all that stuff (deep sigh), including things that are really difficult, and 2017 is going to be a pivotal year there. The Trump election brought us back to 1980 and the Reagan Revolution, and while I can see where this might bring about some changes that will upend what 1980 brought, that’s a long-term view that overlooks the very real suffering that is going to happen to far too many people in the short term. If the idiocy that seems to be taking over internationally doesn’t lead us all into a really awful war, that is. Sometimes I think I’m watching the real life development of aspects of my Netwalk Sequence series. That’s a scary thing for a writer to contemplate, but Netwalk has always been a series that anticipates the future we’re heading into. Except for the Gizmo, that is. If we get a malevolent piece of alien technology attacking cities, then I’ll REALLY get worried. But…on the positive side, this was the year that I sold the most books ever. Pledges of Honor has sold around 100 copies, both ebook and in hard copy, since its release in December of 2015. I’ve spent under $50 in promoting it, and got it out on some review sites. I didn’t do a lot of publicity with it and I wonder what would have happened with more. I released a novella prequel to Pledges, Beyond Honor, that has sold about 20 copies. Not surprising as it’s not as compelling a story, plus it is part of the process of ramping up to write the next book in the series, Challenges to Honor. Two short stories in the Goddess’s Honor series, Birth of Sorrow and The Goddess’s Choice, are selling in bits and pieces. This makes me happy that I took the rights back from eTreasures publishing, and has me making raspberries at those publishers who did reject the book before eTreasures. If little ol’ indie me could make these sales on my own without a lot of publicity, then what could have happened with publisher support? Oh well, no publisher is getting their hands on this one until the series is complete. Then I might talk. 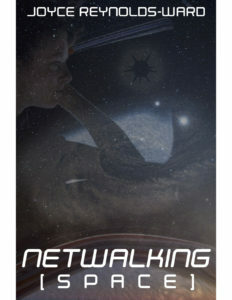 The Netwalk Sequence series has been disappointing in sales this year. I released Netwalk’s Children in November 2015 and it went nowhere. 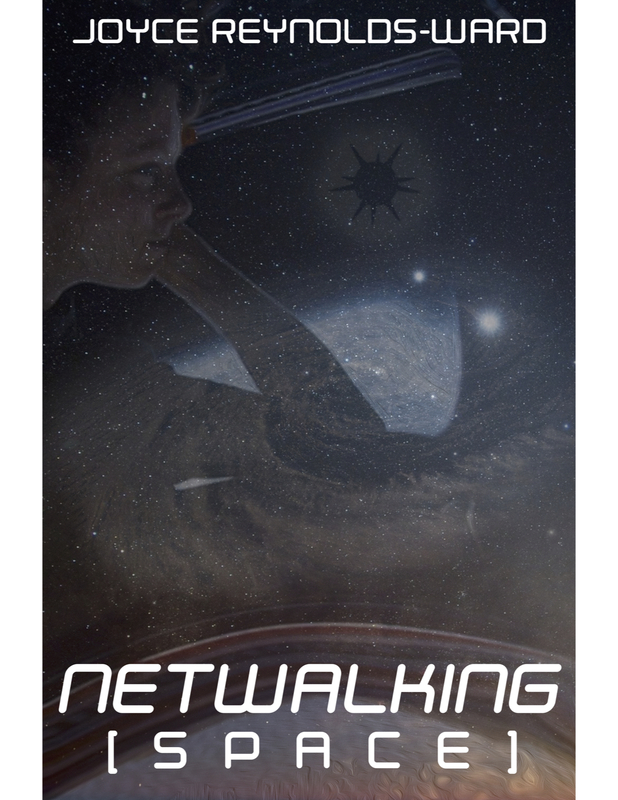 Because I wanted to finish the series, I went ahead and wrote Netwalking Space, and it is on track for a late January/February release. That wraps up the series as I can’t afford to spend any more time writing Netwalk’s Descendants with that poor a return on Children, and I’ve made Space as standalone as I can. I did get the amazing David Rivet back to do this final cover, which thrills me to no end. It feels strange to not be thinking about what’s next in Netwalk, but such is the way of things. There will be a far future sequel but that is at least a year off, because I have other projects I want to develop. I will also reissue three novelettes in the Sequence in an omnibus edition sometime this year. Maybe I’ll write the rest of the Disruption Chronicles subseries short stories, but it’s unlikely at this time, unless Space really takes off. I did also have short stories come out this year. I have one story, “Glorianna,” in the NIWA anthology, Artifact, available here. I also have a story, “Tricksters, Horses, and Beer,” in How Beer Saved the World 2. My short story “Witch Trails” came out in Allegory and is available here. I’ve already got a couple of pieces in the upcoming Campcon anthology, Steam. And Dragons, which will have preorders available in February and be on sale in March. One is with a pseudonym I’m going to play with a little bit. I’m also hoping for some other sales of the short stories I have on hand and are circulating, but not holding my breath. As the sales of “Witch Trails” and “Glorianna” show, it seems like my short stories need to age for about ten years before they find a home if I’m selling them cold, with no links to the publisher. I have yet to sit down and draft my writing plan for the year yet, but tentatively, I’m going to be releasing the sequel to Pledges of Honor, Challenges to Honor, this year. I have a side project that I plan to develop and send out to select small press publishers before publishing it myself. I also have loose notes and a running start at a Weird West novella, Bearing Witness and notes on an alternate history Weird West featuring the Pacific Northwest becoming its own country in the 1820s-1840s (maybe later), with an alliance of former fur trappers and Native peoples against the British, US, and Spanish. There’s also a rodeo-themed far future space opera with lizard aliens, Converted horses, and duels between human riders and sentient horses that are threatened by the rise of a plasmoid-based species seeking to take over the Universe. I’m thinking that this year I am going to sit down with these projects and create packets for each that resemble submission query packets–that is, full synopses, worldbuilding, and perhaps even the first three chapters–so that I can just pull up a project and get to work on it. Given that the amount of snow and cold this winter is bringing is going to limit my horseback time, and given that I still can’t wrench my ski boots on over my bum ankle, I’ve got plenty of time to get things together. Moving on from the writing, 2016 brought me back into regular teaching. I got a call from my old district to come back and do special education academic eligibility testing, and that also led to my current online gig teaching online PE and Health (cue jokes). I also renewed my license for five more years, and have substituted here in Enterprise. I’d still like to find a sped consulting gig, but Portland is full of people like me, and there’s not much of a call for it here in NE Oregon that I can see so far. Still, I’m happy to have my hand back in the game at this level. I don’t know that I would want to be back in the classroom full time again, but we’ll see. I also may have found my bazaar home in Enterprise. I spent two weekends at the Jingle through Joseph bazaar and did reasonably well, all things considered. I am easing back into doing crafts and arts for sale, including jewelry. I’m making further plans for connections in that world. This was also the year that Mocha got healthy and made the transition to being a ranch horse. She still does the occasional goofy stuff like jumping into an ice-covered creek thinking it was solid, but for the most part she has adapted to being part of a herd on pasture and seems to prefer that to being penned or stalled, even in the coldest subzero weather. I spent the summer turning her into a steady road horse, and by fall, we were doing seven mile rides on a loose rein. She showed signs of lameness whenever I’d ride her in the arena, but if I rode her in the field or on the road, she was sound. By the end of fall, before the first snowfall, however, she was ready to go back into the arena and work. We did get out on a couple of trail rides and that is going to be our next year’s priority. The garden in Clatskanie really took off this year. We are still harvesting carrots and beets from it, still have some winter squash, had potatoes that lasted through December, lots of dried and frozen peppers, and cabbage in storage. We’ve frozen corn and carrots, and I made both zucchini and corn relish. The Gravenstein in Portland produced a bumper crop and we made applesauce plus froze apples for cooking. It’s hard to get used to needing to buy some veggies now! Enough blathering. I have a horse to see and plans to write.